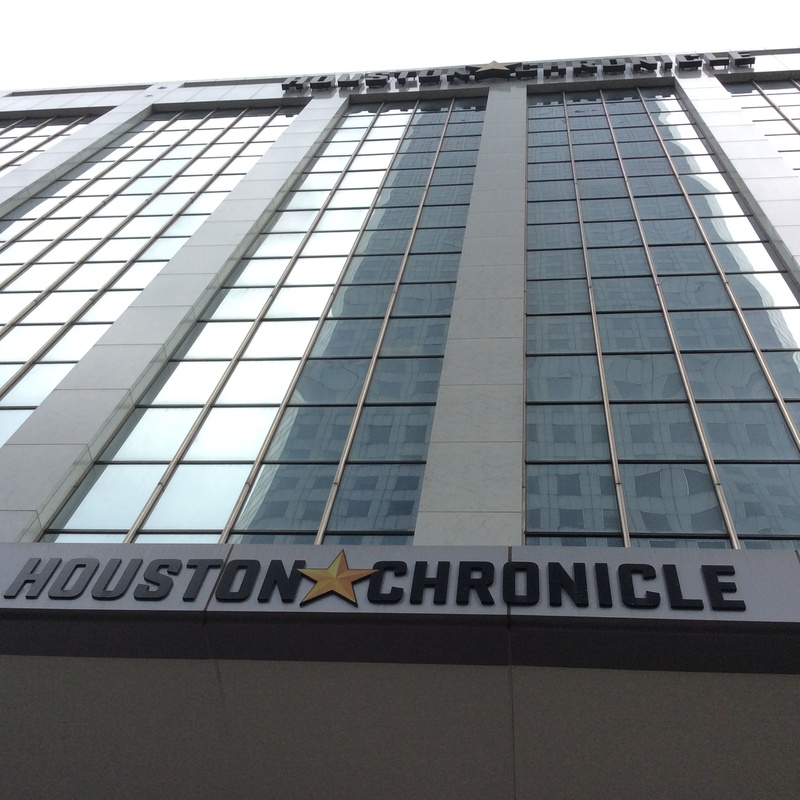 Hines has purchased the Houston Chronicle building in downtown Houston. Photo Credit: Ralph Bivins. HOUSTON – The Hines development firm has acquired the Houston Chronicle’s downtown property, which is viewed as a potent high-rise development site for the future after the old newspaper building is demolished. “Given the site(s) adjacency to the business and theater districts and the proximity to Market Square, we consider this one of the most strategically-connected locations for future development in the central business district,” John Mooz, Senior Managing Director for Hines, said in a written statement. Prime Asset Management and an affiliate of the Houston-based Enterprise Products Co. pipeline organization are both partners with Hines in the purchase. In June, Realty News Report reported in an exclusive story that Hines was working to buy the Chronicle’s downtown property. The purchase price was not disclosed, but sources in the real estate industry had placed the price at $50 million. Holliday Fenoglio Fowler, one of the nation’s largest mortgage banking firms, marketed the property on behalf of Hearst, the Chronicle owner. The newspaper’s facilities, including its headquarters building and newsroom at 801 Texas Ave., cover 99,184 square feet of land on two prime city blocks. The Chronicle property includes a 10-story building, on a full block at the intersection of Texas at Milam, and a 560-space parking garage on a half-block at Prairie and Milam. The newspaper will relocate its newsroom and offices next year to its 4747 Southwest Freeway facility, the former Houston Post building near Loop 610. Houston-based Hines said it was premature to discuss the timetable for the new development on the Chronicle building, which is bounded by Texas, Milam, Travis and Prairie, near Market Square Park. Hines is building a 48-story office tower a couple of blocks east of the Chronicle building and a 32-story residential building a block north of the Chronicle. Both of those projects are under construction, with completion at least a year away. There appears to be no short-term demand for more downtown office or high-rise apartments. But Hines and its partners are deep-pocketed investors with a long-term horizon. Although Hines disclosed no timetable, a groundbreaking in 2018, with the project being completed in 2020, seems like a reasonable estimate. The Hines firm, founded by Gerald D. Hines in Houston in 1957, has built hundreds of high-rise projects around the world, including a number in downtown Houston. The firm built the massive Chase Tower across the street from the Chronicle. For the Chronicle building, the handwriting has been on the wall for quite some time. As the city grew, the downtown building hardly made sense as a place for printing the paper, which is basically an industrial process that required 18-wheeler trucks loaded with paper to navigate downtown traffic. The press was removed a few years ago. The former Post building, located where the Southwest Freeway intersects with Loop 610, is a better location for printing the Chronicle. But it removes the newsroom from the energy of downtown and its close proximity to City Hall, the courthouses and the police department. The newspaper has said there will be a remnant of employees remaining in somewhere downtown, where the Chronicle has been for many decades. But it’s time to turn the page. The building will be torn down soon. And we’re waiting to see what Hines has planned next. — By Ralph Bivins Editor’s note: Realty News Report editor Ralph Bivins covered real estate for the Houston Chronicle for a number of years.